When it comes to 90’s JDM Tuning shops, Abflug is one of the top dogs. 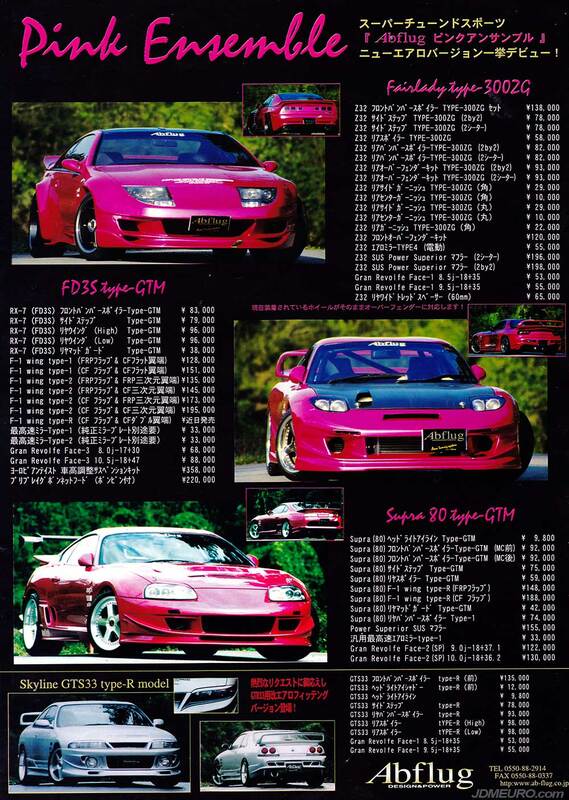 Most notable for the Toyota Supra’s they tuned, the Mazda RX7’s Nissan 300ZX and Nissan Skyline were all top notch. All pictured on their happy looking type-GTM body kits and on a version of thier Abflug Gran Revolfe JDM Wheels; whether its the Abflug Gran Revolfe Face 1, Abflug Gran Revolfe Face 2 or Abflug Gran Revolfe Face 3 JDM Wheels.